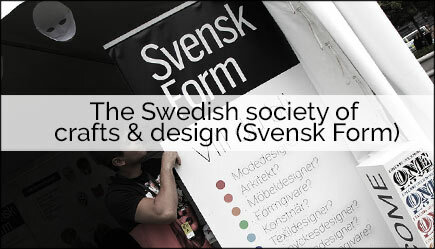 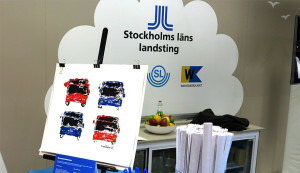 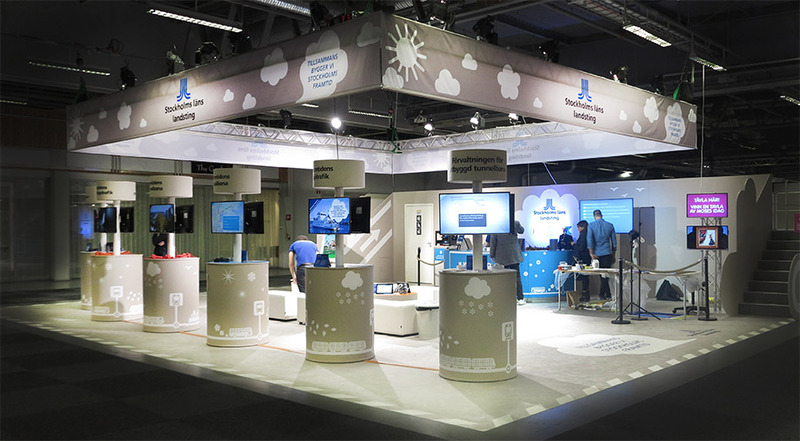 During the annual transport fair the Stockholm county council wanted to do something different. They hired Moses to do live paintings in their both to create attention. 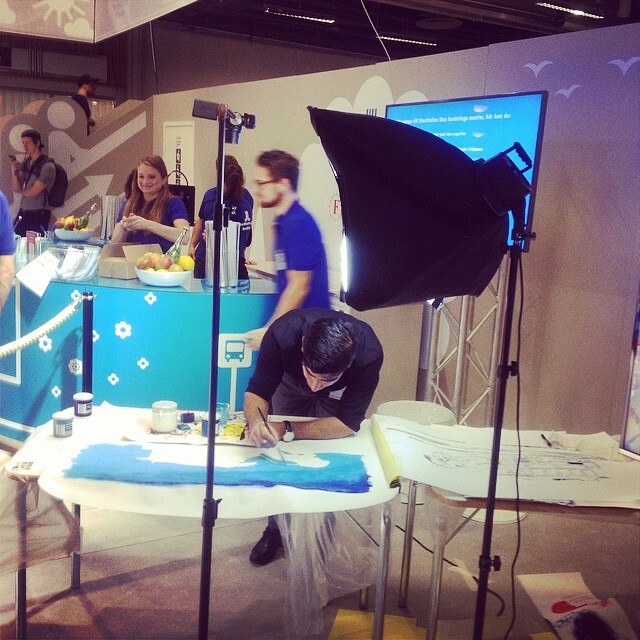 As usual people gathered around the artist when he was painting and a hype was created around their both. 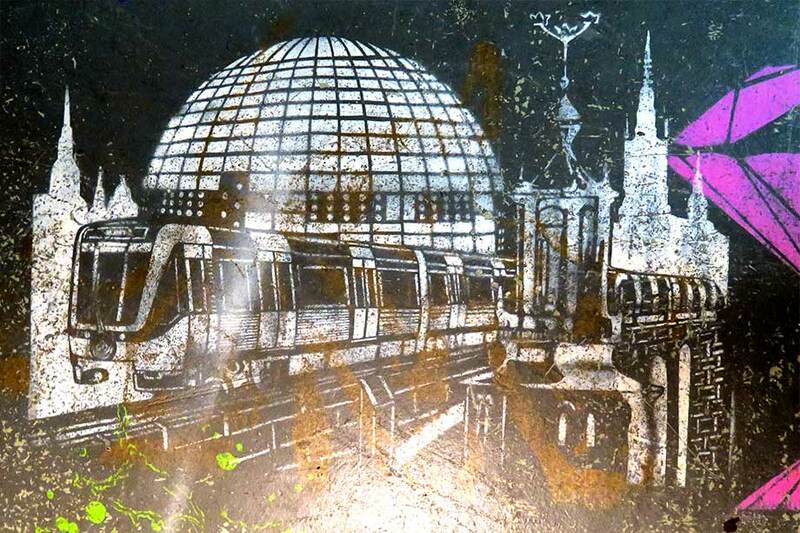 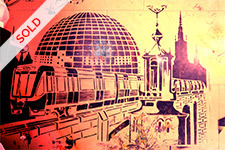 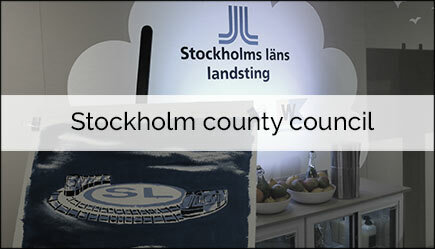 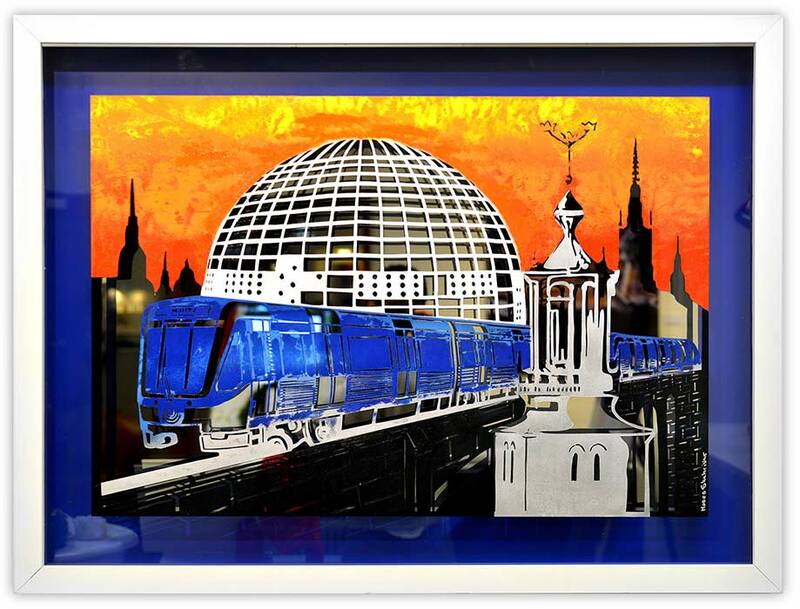 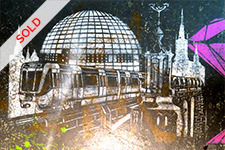 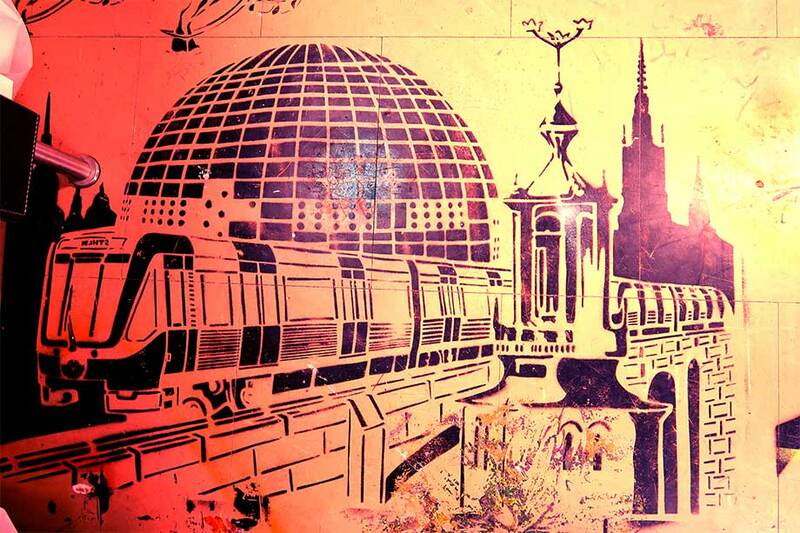 The motif of the painting was the city of Stockholm and the subway train that the county council manages. 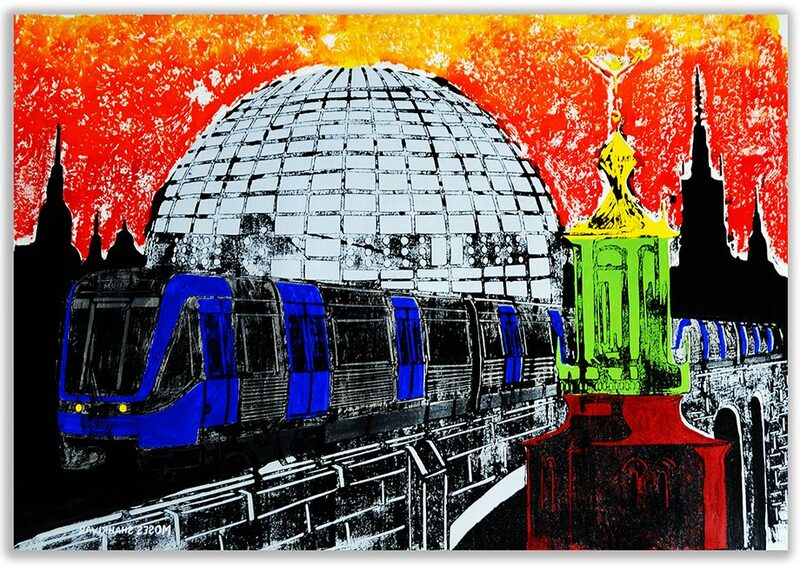 The original papercut that was created for this mission is now up for sale. 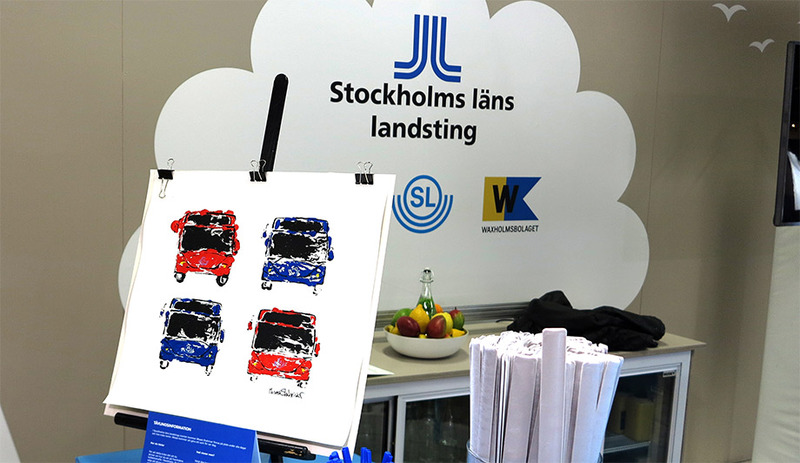 Stockholm county council received their painting of the motif and now the papercut has been turned into a painting. 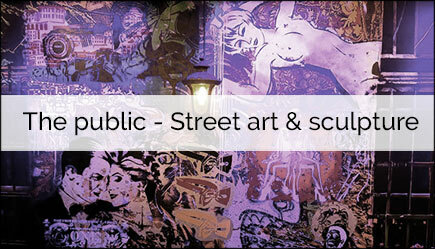 The papercut is handmade and cut out with a simple knife and has been used during 2 years in different street art projects. 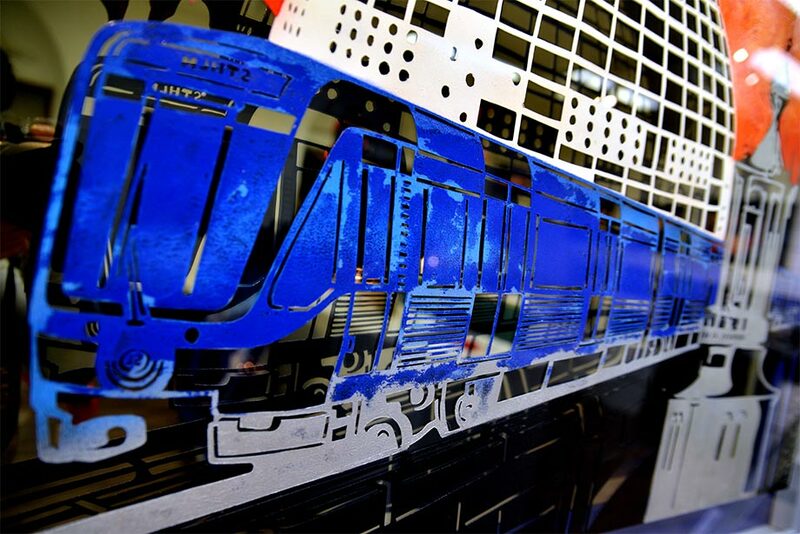 The energy that once created the papercut has been re-used many times creating new artwork. 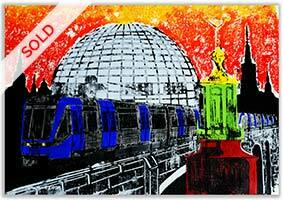 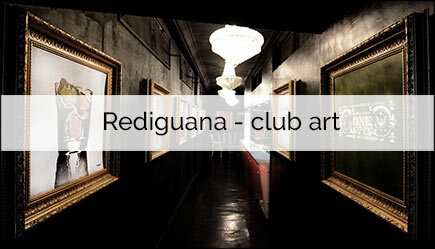 When you buy the painting you will receive a certificate of authenticity signed by the artist.